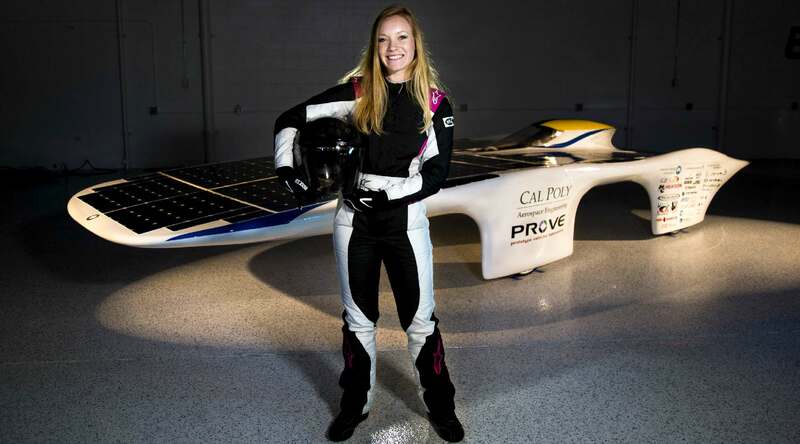 CLIMATE CHANGERS - Guinness World Records recognize a land speed record for vehicles powered only by solar panels. This record is currently held by the Sky Ace TIGA from the Ashiya University. The record of 91.332 km/h (56.75 mph) was set on 20 August 2014 at the Shimojishima Airport, in Miyakojima, Okinawa, Japan. The previous record was held by the University of New South Wales with the car Sunswift IV. Its 25-kilogram (55 lb) battery was removed so the vehicle was powered only by its solar panels. The record of 88.8 km/h (55.2 mph) was set on 7 January 2011 at the naval air base HMAS Albatross in Nowra, breaking the record previously held by the General Motors car Sunraycer of 78.3 kilometres per hour (48.7 mph). The record takes place over a flying 500 metres (1,600 ft) stretch, and is the average of two runs in opposite directions. Land speed records are not cast in stone, but change as time moves on. New teams rise to the challenge and technology advances to move the goal posts. Hence, there have been dozens of fast solar powered cars that at one time or other held the record. And there will be many more. Just as important and raising the performance bar, is getting manufacturers to build eco cars. Even more important is an infrastructure to replenish expended energy quickly. Our Governments do not seem to realise the urgency of the situation regarding climate change and the need to act now. It seems they would rather wait for as long as they can to allow stakeholders with existing investment in outdated technology to milk the system. 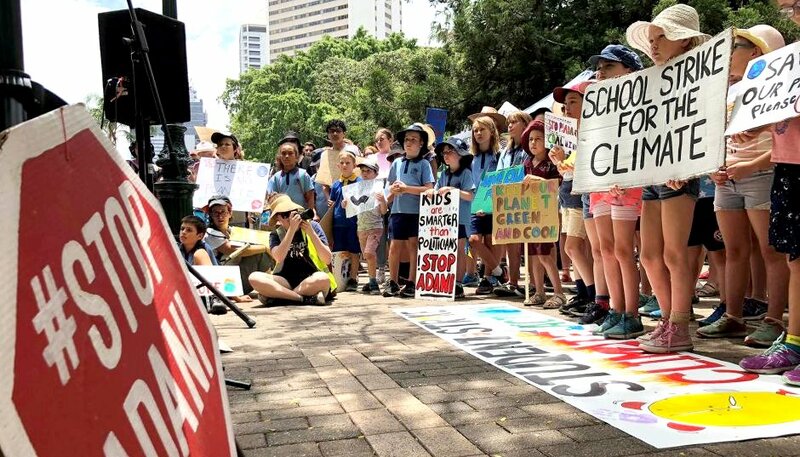 Fortunately, most schoolchildren do have financial investments in dinosaur tech, but do know that their future is being compromised by the greedy adults that say they care about them. Going faster is one way of grabbing attention for global warming. Standing outside parliament buildings with billboards is another. 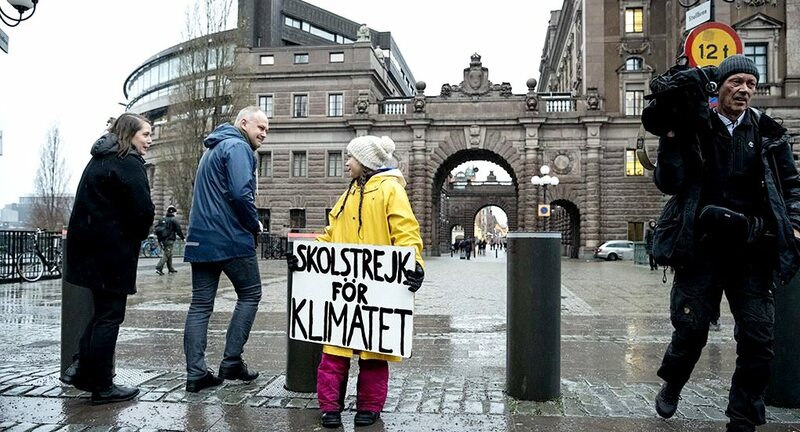 Both effective, but more so if working together as a Climate Changer, lobbying to stop using fossil fuels in favour of renewables. SKY ACE TIGA - This speedy red racer was entered in the 2011 WSC by Japan’s Ashiya University. In the end, the Sky Ace Tiga came in fourth place and was one of only seven solar cars to reach the finish line in Adelaide within the allotted time. The clearly visible solar cells lining the top of the car are made of satellite-grade gallium arsenide instead of the more common silicon. The Ashiya University car can reach speeds of up to 94 mph (152 kph) but cruises at around 62 mph (100 kph). SUNSWIFT - The Sunwift iVy running at the Global Green Challenge from Darwin to Adelaide in 2009. This race forced the Australian government to raise the speed limit where these small eco cars were going faster than the mainstream traffic. TIGA - Sky Ace Tiga là một sản phẩm của đại học Nhật Bản Ashiya, chiếc xe ba bánh chạy bằng năng lượng mặt trời này đã đạt được tốc độ 91,7 km/h trong một lần chạy thử tại sân bay Shimojishima, Okinawa vào tháng 8/2014. Người cầm lái là cựu tay đua Kenjiro Shinozuka. The fastest speed attained by a solar-powered vehicle is 91.332 km/h (56.75 mph) and was achieved by Kenjiro Shinozuka (Japan), who drove Ashiya University's Sky Ace TIGA at Shimojishima Airport, in Miyakojima, Okinawa, Japan, on 20 August 2014. A product of a project from Japan’s Ashiya University, this solar-powered tricycle achieved 57mph in a run at Shimojishima Airport, Okinawa, in August 2014. It was driven by former rally driver Kenjiro Shinozuka. Strictly speaking, a tricycle is not a car. A car should have four wheels. This is then a three-wheeler or trike record. 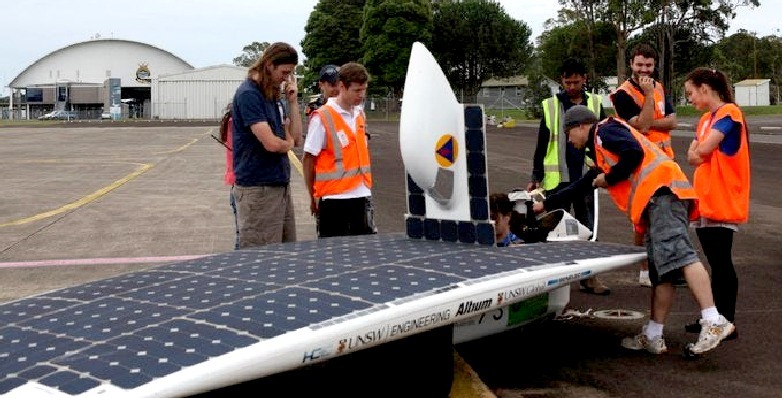 With a speed of 88.738 km/h (55.077 mph), the University of New South Wales’ (UNSW) Sunswift IVy has claimed the Guinness World Record for the fastest solar-powered vehicle. The record-beating run took place on January 7 at HMAS Albatross navy base airstrip in Nowra, Australia, and outdid the previous record-holder by more than 10 km/h (6.2 mph). Designed and built by UNSW students, Sunswift IVy is a three-wheeled vehicle with a monocoque carbon fiber body, brushless CSIRO 3 phase DC 1800 W motor, solar array producing about 1200 W (the same it takes to run a toaster) and, usually, a 24.75 kg (55.56 lb) lithium ion polymer battery pack. However, as the milestone is for cars powered exclusively by silicon solar cells, the battery was removed for the record attempt. While students usually drive the car, the record-breaking run was piloted by professional racing driver Barton Mawer and Craig Davis, from electric car company Tesla’s European operations. The record-beating run took place at 10.32 am. The team wasn’t expecting to get peak sun until noon and therefore wasn’t expecting to break the record so early in the day. Although the team says they believe they can get the record to over 90 km/h (55.9 mph), they weren’t able to improve on the time in subsequent runs. The arrival of rain at 1.30 pm then prevented any further attempts. After breaking the record, Mawer said the car handled reasonably well, "although I think I gave the team a bit of a scare when I got up on two wheels on the turn." Adjudicators from The Guinness Book of World Records were on hand to witness the record-breaking run and have already officially recognized the new record and handed over a certificate. The previous record of 78 km/h (48.5 mph) was set by the GM Sunraycer in 1987. 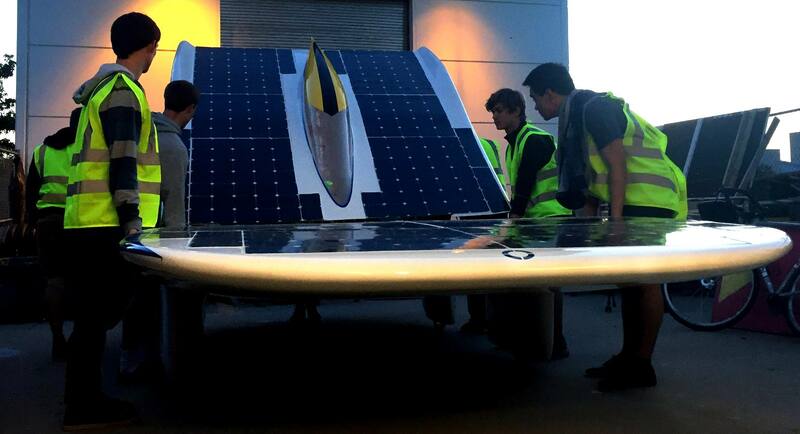 This isn’t the first time the UNSW's Sunswift IVy has tasted success. It also competed in the 3,000 km (1,864 mile) Global Green Challenge race from Darwin to Adelaide in 2009, winning its category. FASTEST SOLAR CIRCUMNAVIGATION - On the 4th of May 2012, history was made, as Raphael Domjan, at the helm of a giant of a catamaran powered only by solar panels crossed the finishing line at Monaco to become the first electric boat to sail around the world. 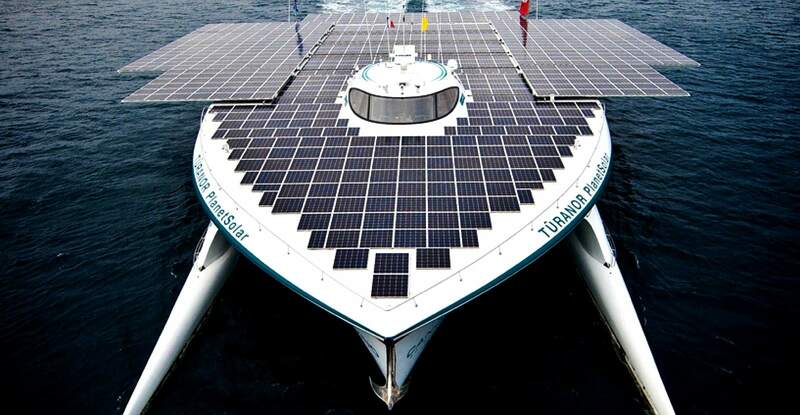 MS Tûranor PlanetSolar, known under the project name PlanetSolar, was (@ 2018) the largest solar-powered boat in the world. The vessel was launched on the 31st March 2010, also going into the Guinness Book of World Records. The project was mostly financed by Immo Stroeher, the owner of the boat. The teams below are either established and competed, or have considered competing in one or more of the attractions above. Please click on the hyperlinks for more information. Remember, it's not the winning that matters, it's taking part. Whatever car or result your team produces, simply taking part will be rewarding in terms of learning, achievement and fun. You will also contribute to our collective human knowledge. Thomas Alva Edison helped make the light bulb with every experiment that did not work, so that he could cross it off the list and advance a bit more, until the incandescent light was perfected. Because of that determination we now have LED lighting.